Reganosa’s facilities were selected for the next GLE’s plenary meeting, Gas LNG Europe, entity that represents the European LNG terminal operators. The assembly will be done the first week of October. 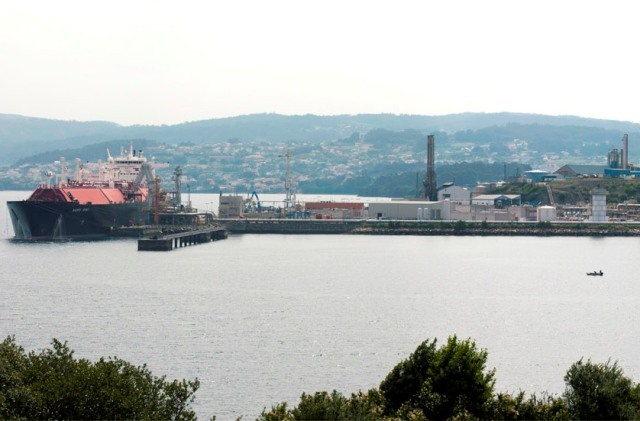 Ferrol’s port will host the sixteen LNG terminals representatives integrated to the association, coming from nine countries and operate about 90% of the European regasification capacity. Most of these facilities are located in southern Europe; Spain is the country with the largest number of plants, with six operating. Picking Reganosa’s facilities to celebrate the assembly stems from the interest shown by other members on meeting the facilities, because it stands as a very well positioned terminal and historically very active in the LNG new services, especially on the small-scale developing services. For Reganosa this will be an opportunity to present its activity and its development potential, linked to the LNG promotion as marine fuel and its geostrategic location: it’s located at the Fisterra Corridor, through which pass more than 40 000 ships per year, and counts with the proximity of Navantia’s shipyard, European leader in repairing gas vessels. Besides, the peculiarities of the northwest peninsula’s orography and its geographic dispersion causes the natural gas expansion through LNG satellite plants, which motivates the tanks traffic (small-scale operations) from the plant, turning it in 2014 in the European leader on this kind of operation. During this meeting the partners will discuss issues related to strategies they should follow to promote liquefied natural gas and its future as fuel, seeking to reach common positions to defend it afterwards at the EU institutions. GLE promotes access to LNG within a European internal market fully operational, backed by a stable regulatory framework. The assembly, which will also count with the presence of GLE’s Executive Committee members, will be completed with presentations and workshops, as well as the opportunity to hold bilateral meetings between some of the members, plus a visit to Reganosa’s facilities and Ferrol’s Port.